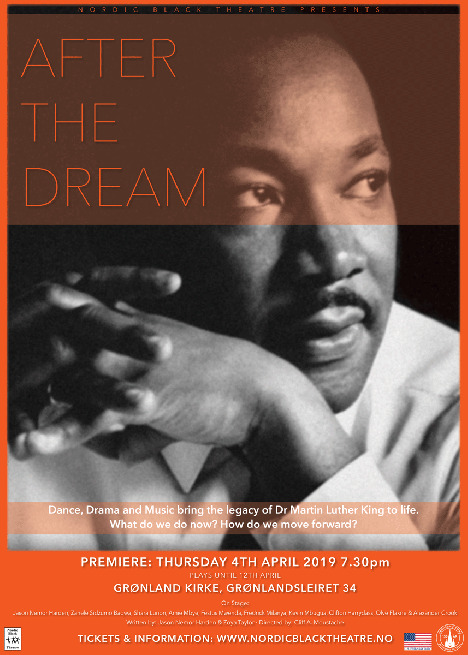 "After the Dream" focuses on the legacy of Dr King. Dance, drama and music bring this legacy to life. The impact he has had and continues to have on our lives. The strength and inspiration many still draw from his words and from some of the key events of his life. His speeches still resonate among all who thirst for equal rights and a just society, and who are committed to achieving progress in a non-violent way. This being said, we also will examine and highlight the ongoing struggles against racism and injustice in our times. The play includes the women Dr King worked with and those, like Rosa Parks, who inspired him.